I organised a BBQ/Potluck picnic with fellow Malaysians whom I met through Facebook. I made this Nyonya kueh for dessert. I didn't have time to make the kaya or coconut jam, so I just bought a jar of Glory's kaya from the Asian grocery store. This is one of my Dad's favourite Nyonya kueh. I remember he would always buy a piece or two from this Nyonya kueh stall in PJ New Town many many years ago. I am submitting this post as part of June 2012's Muhibbah Monday - organised by Test for Skewer, 3 Hungry Tummies and Just As Delish. This is also one of my favourit Nyonya kuih. This is my favourite kuih! Miss the ones in Penang, not easy to find good ones in KL. My favourite kueh. Nyonya kueh are beautiful, delicious and so unique. 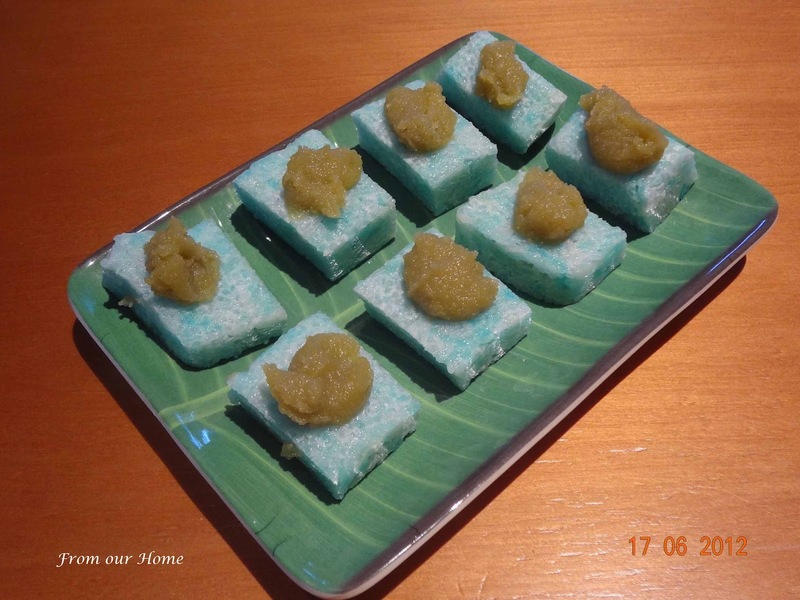 I recently wrote about Pulut Tai Tai (I even love the name! )and yours looks beautiful.